Thank you to all who participated in our Safer Garden State 5K! We were thrilled to be joined by so many teams, friends, community members, and allies for a successful event! 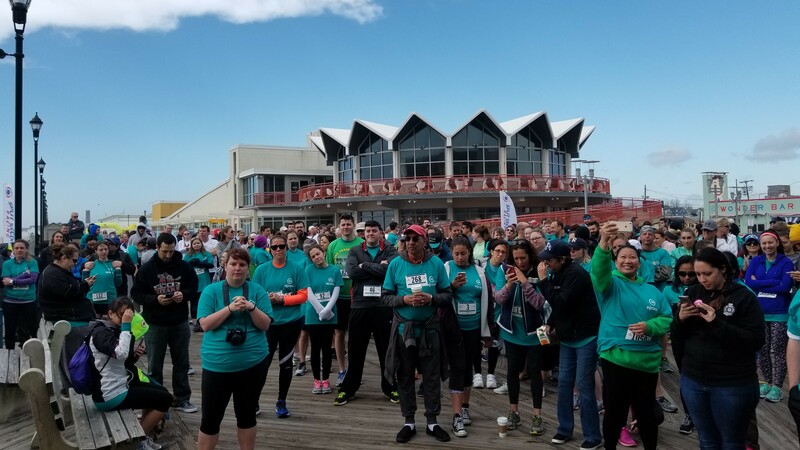 Nearly 400 participants, friends, and allies – from way up in Sussex County down to Cape May – registered to join us on the boardwalk in Asbury Park – making this year’s event our largest 5K EVER! We blew our fundraising goal out of the water (no beach pun intended!) exceeding it by over 160%!These essential funds will benefit the critical work that NJCASA and county-based programs throughout the state do every day to serve survivors. Special shout-out to the Domestic Abuse & Sexual Assault Crisis Center of Warren County, whose team raised over $10,000! From students across New Jersey who came out during final exams to volunteer and show their support, to parents who brought their children out to join us, to all of our friends and neighbors and colleagues who spread the word about this event – we couldn’t have done it without you! You all played a part in creating a safer Garden State. Congratulations to all our 5K finishers – participants can view final results (and finisher videos!) from our timing company. Missed the event, or joined us and want to re-live the fun? Check out our event photos on Facebook! We’ll see you on the boardwalk next year!